Add More Minutes To Your Day: Get ready to boost your daily productivity with the smooth, responsive power of compact excavators from New Holland. Comfort and versatility are part of their design. 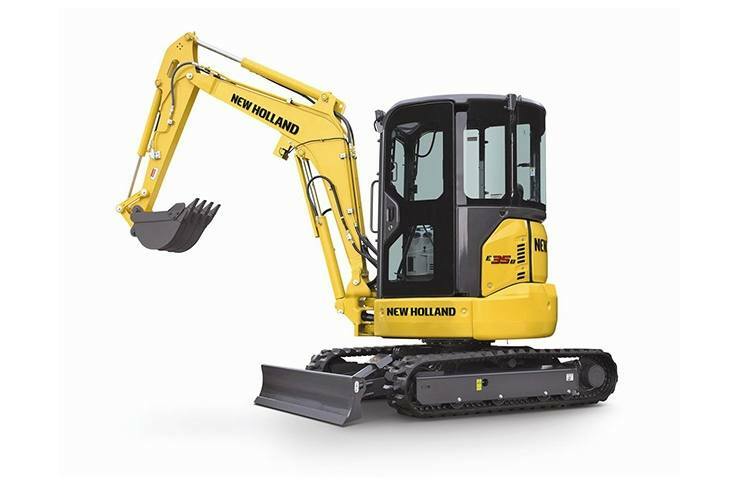 New Holland compact excavators not only allow you to excavate, grade and backfill with one machine, they allow you to save fuel and time while doing it. Restricted Areas? 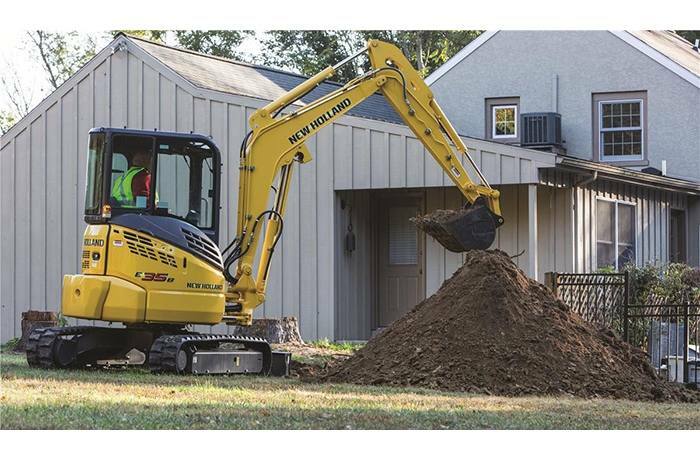 No Sweat: New Holland compact excavators put big digging power into tight spaces. 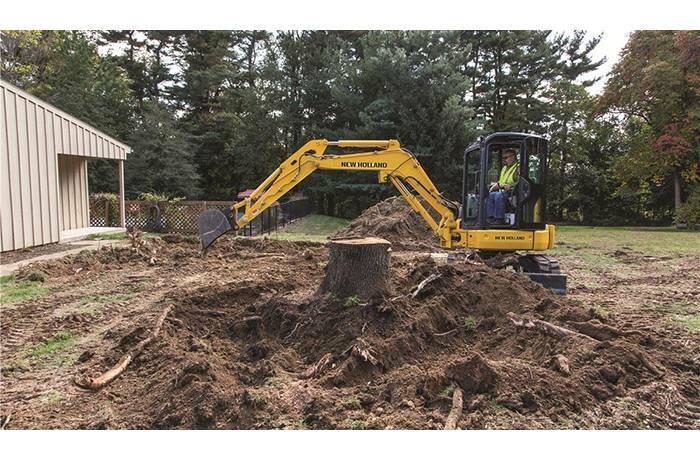 The center-swing boom arm lets you dig, fill and grade along near-perpendicular angles like footings, curbs and foundations. The boom light is now positioned snugly under the boom, not on the side where it could be damaged. And, zero tail swing means you operate in confidence, knowing your machine always operates within the track footprint. 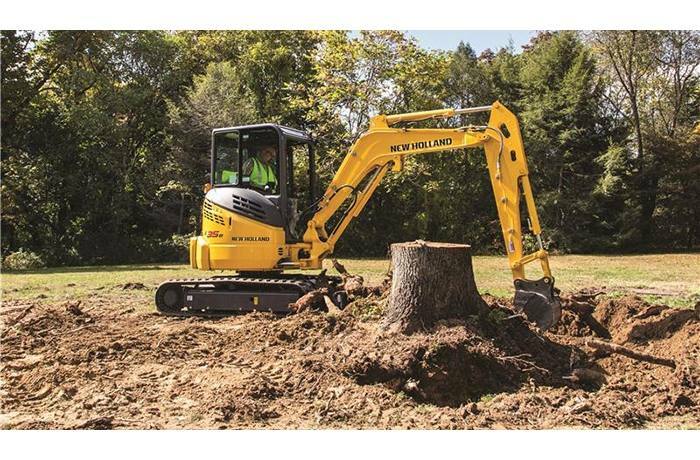 Heavy-Duty By Design: These excavators are ruggedly built to deliver outstanding performance, day after day. In fact, these heavy-duty models feature many of the same robust design features found only on larger excavators: * Long X-frame that provides excellent stability and support * Thick gauge steel booms and arms that deliver superior strength * Sealed rollers, sprockets and travel motors that extend undercarriage life. An Easy View: Choose a 4-post ROPS/canopy or fully enclosed cab with standard air conditioning. Either choice gives you a clear all-direction view for confident, relaxed operation. On cab models, the air conditioner unit is positioned out of your line of sight. 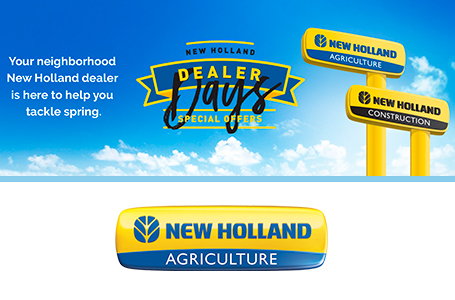 An Open Design With Convenient Sliding Door: A wide entry welcomes you to the operator station, and you'll appreciate the foot and shoulder room New Holland excavators offer. The adjustable seat and wrist supports allow for personalized comfort. The convenient sliding cab door (models E30B and E35B) maintains your excavator's footprint by gliding open within the machine frame so it's never in the way.